In 1955, Denmark decided that their new letter “Å” would be the last letter of the alphabet, coming after “Z” in the dictionary. 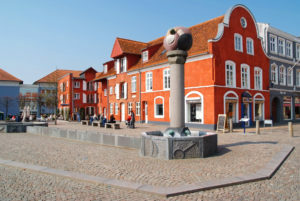 Aabenraa, which was accustomed to being the world’s very first town alphabetically, was unenthusiastic about moving to the very bottom of the list overnight. Read this fun and informative article at Condé Nast Traveler to find out more!